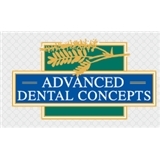 Advanced Dental Concepts (Vancouver) - Book Appointment Online! Welcome to Advanced Dental Concepts, the general dentistry practice of Jack D. Jorgensen, DMD, a premier Vancouver, WA dentist, where every patient is treated like family. We provide state-of-the art general dental care and pride ourselves on having one of the most relaxed, comfortable atmospheres around. We are happily accepting new patients. Advanced Dental Concepts offers complete general and cosmetic dental services, ranging from tooth-colored restorations, crowns, bridges, porcelain veneers, root canals, dental implants (conventional and mini implants), teeth whitening, dentures, and periodontal (gum) care. Our professional staff is truly committed to providing you with the highest quality of care, using the most advanced techniques and personalized treatments, in a comfortable and pleasant environment.